This is one blog post that I never imagined myself doing, I've enjoyed doing the odd OOTD every now and then but I'm never consistent enough to call myself a fashion blogger or to compile posts like this. The thing is, I'm only just finding my style again. 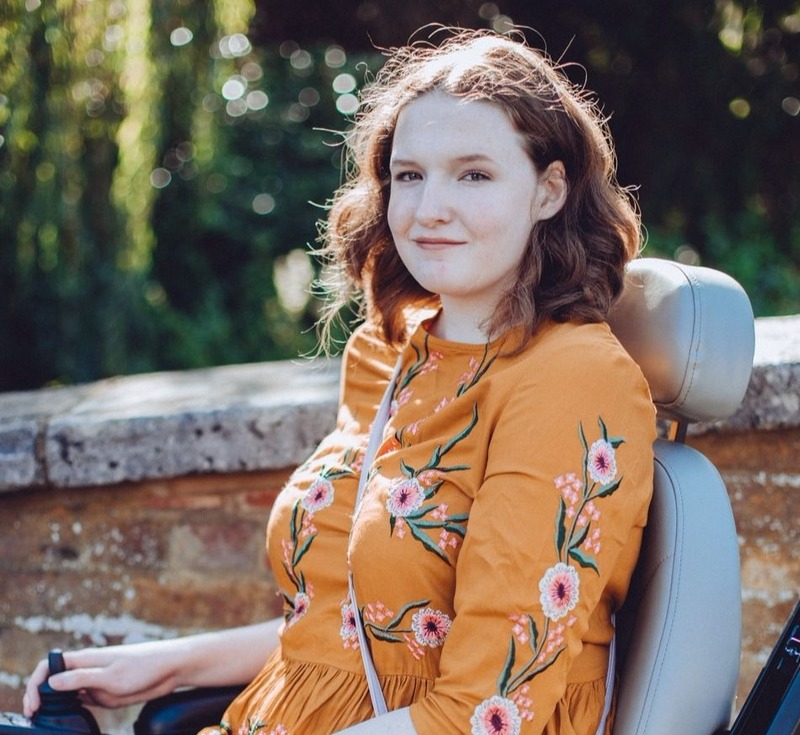 Becoming a powerchair user threw me completely when it came to fashion, dressing for sitting down all the time isn't simple or easy and suddenly I found myself clueless as to what would look good on me. 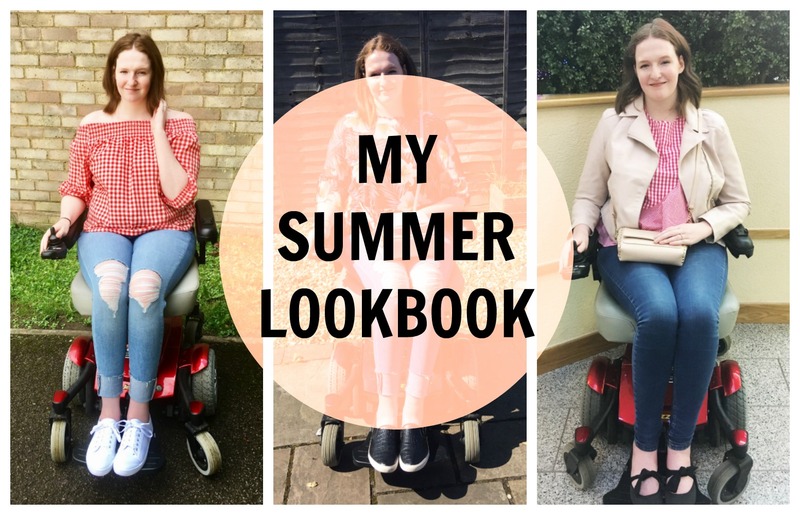 Disabled fashion bloggers and instagrammers inspired me though, they inspired me to find my style again and to enjoy fashion again, even though I don't see myself in any fashion ads, even the mannequins in store are mostly stood up. I think I'm finally starting to discover my fashion sense again though, learning what colours and styles I like, learning what suits me best when I'm sat down. I've found out that skirts are a no go, they look odd as I lose a lot of the length of my torso when sat down but equally I've discovered a new love for dresses and bold colours and prints. It's a fun journey and I'm enjoying throwing out old pieces and replacing them with new ones. So, I thought today I'd put together a little lookbook post of some of the outfits I've been wearing this Summer! It's safe to say that over the past month I've been a little bit obsessed with a certain pair of pale blue ripped jeans from New Look, it was the turned up hem that I fell for, sadly they are out of stock now though! I've also been trying to inject a little more colour into my wardrobe, wearing a lot more red and a little bit of pink every now and then and so many of you have complimented my outfits when I'm wearing more colour so that must be a good sign! I've loved Summer but I'm definitely ready to start snuggling up in cosy jumpers and I'm excited to wear my Dr. Martens again, I've got my eye on a second pair that I'd love! Are you looking forward to Autumn fashion or are you more of a Summer person? Love the Urban Outfitters dress! So pretty!